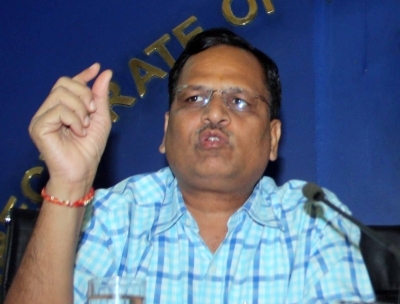 New Delhi, Aug 20 (IANS) Delhi Health Minister Satyendar Jain on Sunday visited the LNJP hospital where a worker died while cleaning a sewer and sought a report on the incident. Jain, who also met two others who were injured while cleaning the sewer at the hospital, said that he will take action on the basis of the report, a Delhi government official said. It is 10th such death in Delhi in just over a month. On August 12, two brothers died of suffocation while cleaning a septic pit at a mall in Shahdara in east Delhi. On August 6, three persons died after inhaling toxic gases while cleaning a sewer in Lajpat Nagar in south Delhi. On July 15, four persons died after inhaling poisonous gases as they entered a water harvesting tank in Ghitorni in south Delhi.